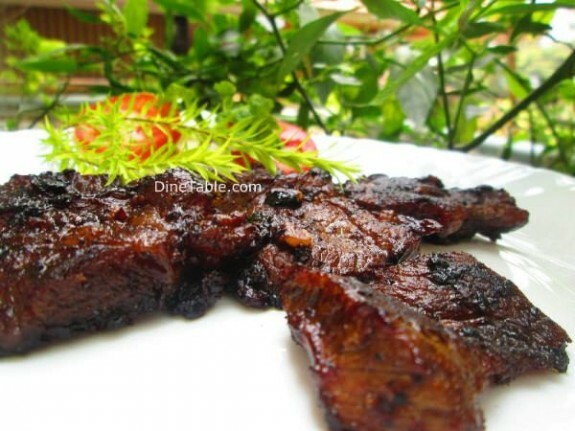 Pan Grilled Beef Steak is a simple dish with less ingredients. 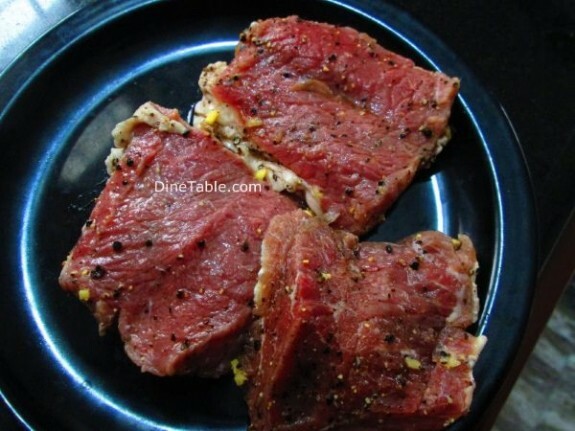 Beef steak is a flat cut of beef usually perpendicular to the muscle fibers. 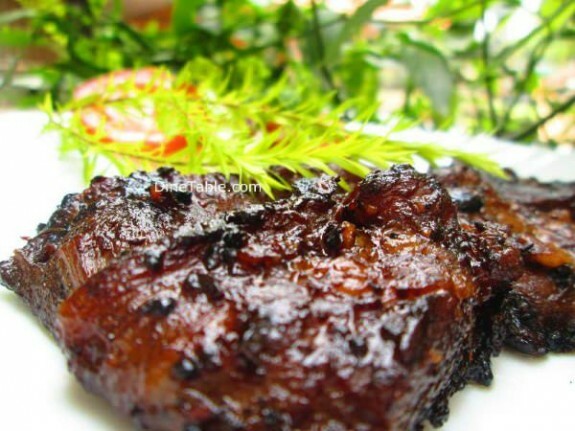 Beef steaks are usually grilled, pan-fried or broiled. 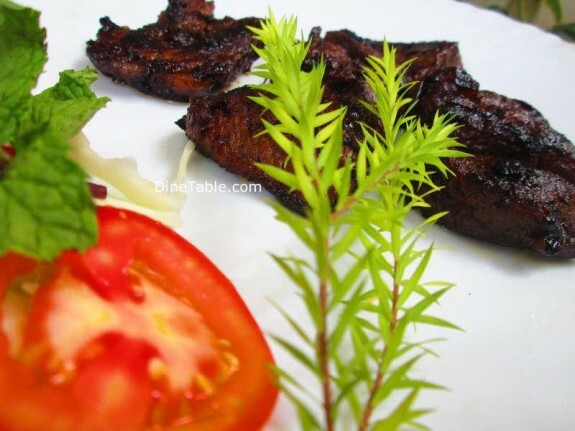 Try this yummy Pan Grilled Beef Steak Recipe at home. Steak is actually a slice of meat such as Beef or Lamb from the most tender cuts of the animal such as the short loin, sirloin and rib areas with names such as Porterhouse, T-bone, Rib-eye. 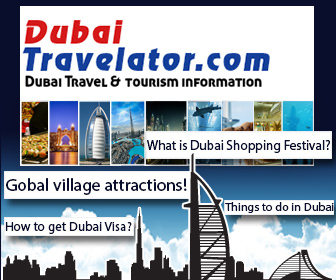 Steaks are typically grilled, but they are also pan-fried or broiled using dry heat and served whole. 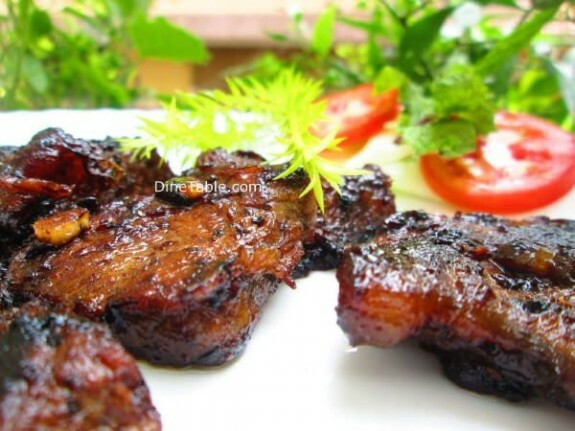 Marinate the steak slices with garlic, 1 tsp of oyster sauce, pepper powder, 2 tsp of lime juice and salt. Keep this for 20 minutes. Heat a pan on low flame and add butter and vegetable oil. 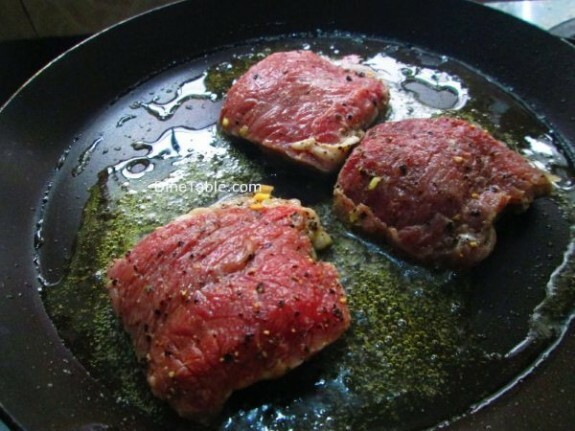 Now place the beef steaks on the pan. Now pour 1 tsp of lime juice on top of the beef. Then turn over the slices and do the same. Cook this for 5 minutes. After 5 minutes, pour 1 tsp of oyster sauce on top of the beef. Turn over and do the same. 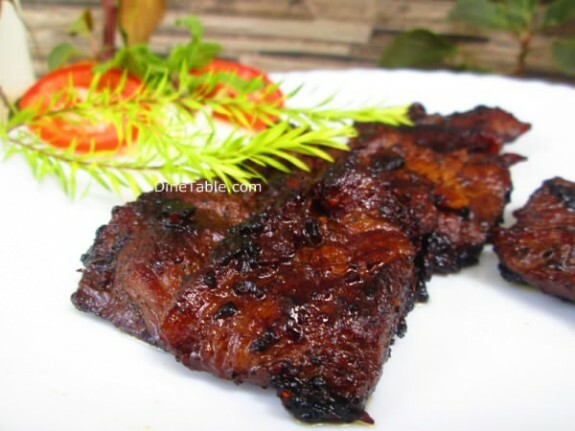 Cook this for 10 minutes. When the beef is cooked, switch off the flame. Tasty Pan Grilled Beef Steak is ready.